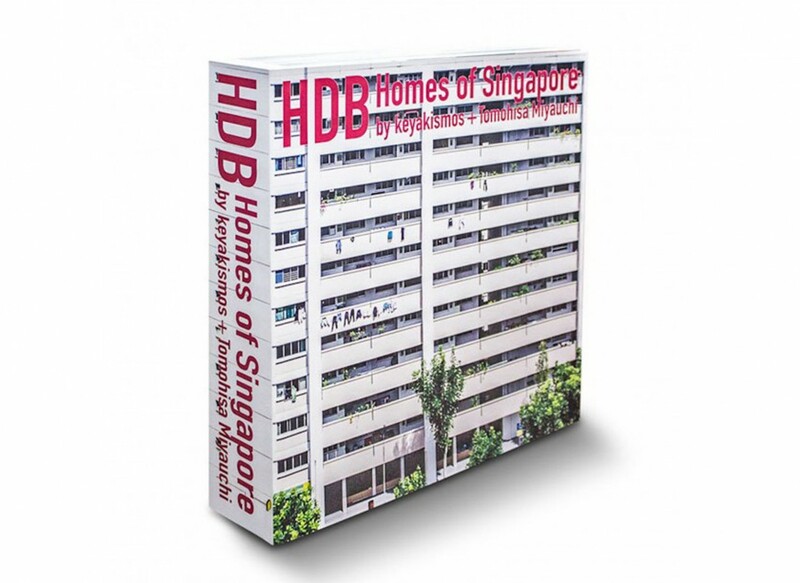 HDB Homes of Singapore is a pictorial journey of photographs taken over a period of three years around the time of Singapore’s 50th anniversary that portrays the diversity, culture, individuality, colors and creativity inside HDB homes. 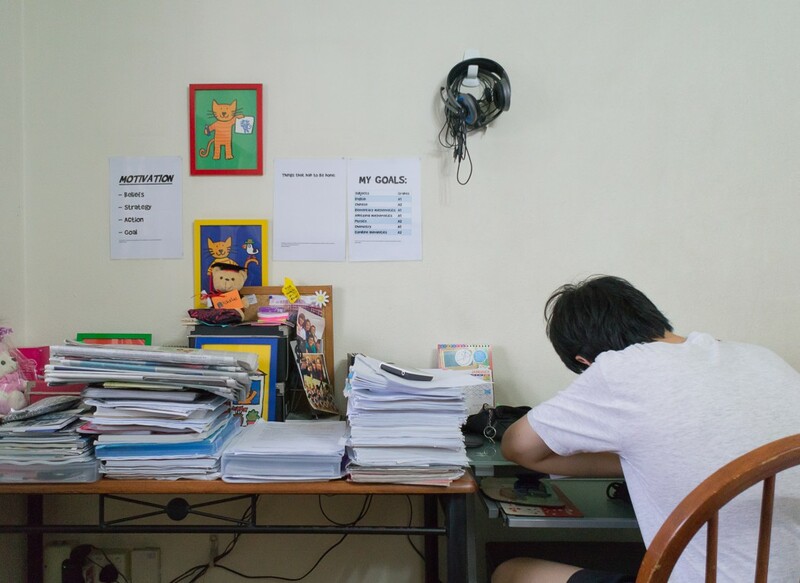 The project had interviewed 118 households in Singapore’s public housing over 3 years. 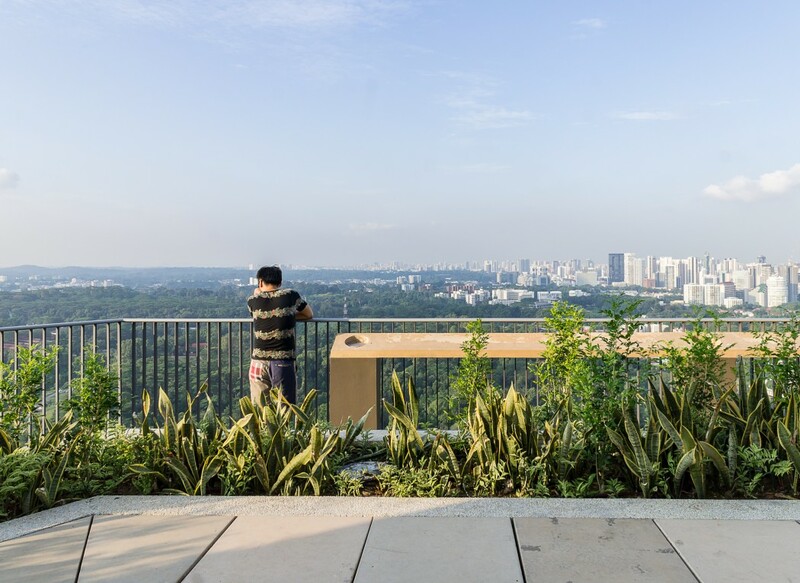 The goal is to share their experience and understanding on “the way of life” through conducting a dialogue with residents and the community in Asia’s most urbanized environment of Singapore. We discovered the richness in a variety of ethnicities, religions, memories, and wisdom in people’s life. We have been promoting a public understanding of social harmony, appreciation in culture and healthy living environment through presentations and exhibitions with photographic records, and finally compiled into a 670 pages book. In 2015, Singapore celebrated the 50th anniversary of its independence. Around that time, I had also been teaching architecture at the National University of Singapore (NUS). In this modern cityscape of Singapore, there are buildings that I felt were similar to buildings in Tokyo, where I grew up. These so-called HDB flats (Housing and Development Board) are public housing clusters built under Singapore’s national housing policy, housing more than 80% of its citizens. HDB flats may be sold to and purchased by private citizens and retain as asset value, and the buyer may choose to use his/her Central Provident Fund savings for the down payment. 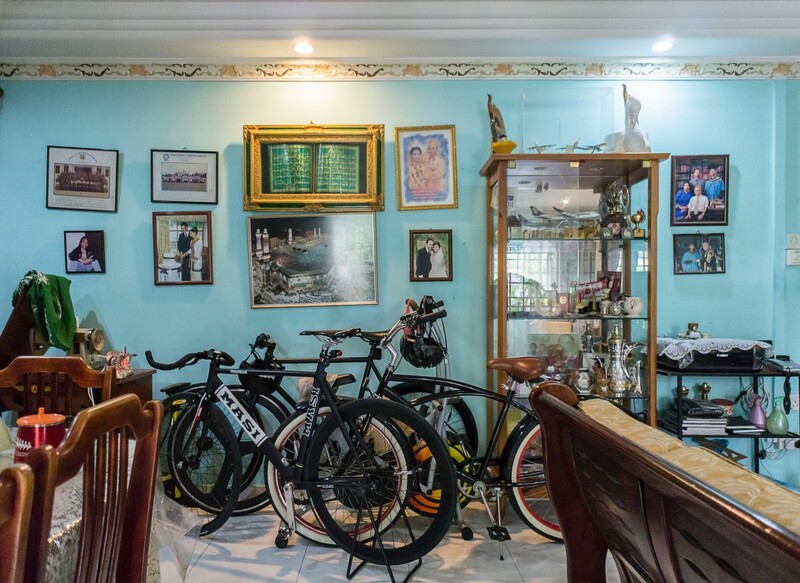 HDB flats are, in essence, homes and a homeland for Singaporeans. 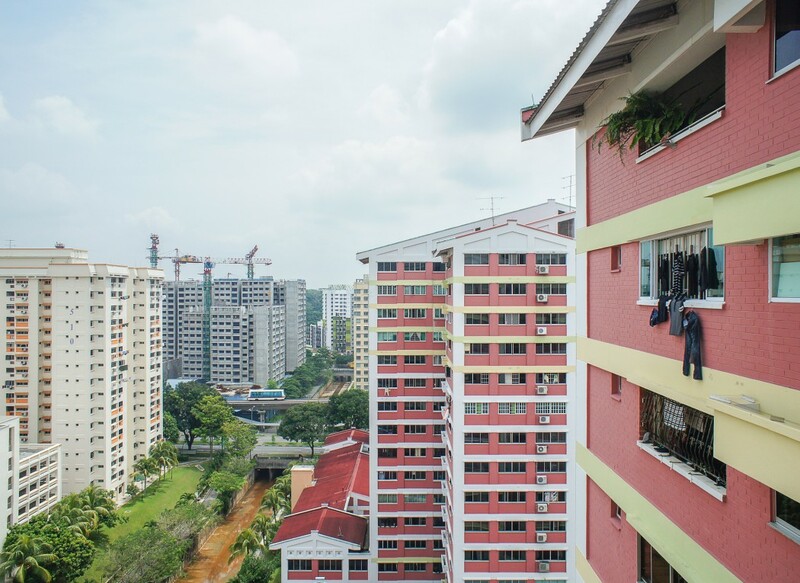 Unlike the skyline of Singapore, which is often introduced to overseas observers as a symbol of economic success, HDB flats contain and represent the lives of everyday Singaporeans. As an educator of architecture in this country and also an architect with the occupation of making homes and cities in which people live, I believe that it is first necessary to understand the views of life from the people of the land. HDB flats are therefore of tremendous interest to me. This project began when I met Tamae Iwasaki and Eitaro Ogawa (a.k.a. Keyakismos). We were introduced by Professor Ng Wai Keen at an architectural exhibition when I had just started teaching at the Department of Architecture in NUS. 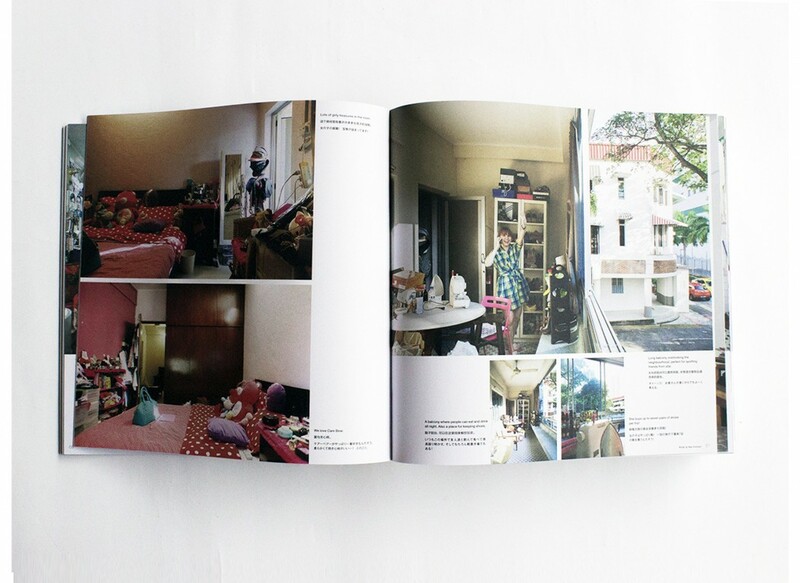 During our casual conversation, we discussed the possibility of creating a book about HDB flats. The HDB flats of Singapore look rather simple from the outside, giving the impression that they are similar. But at the same time, it is quite intriguing to understand how people of different generations, cultures, and backgrounds all live in harmony. We were so excited about the idea of exploring how people live in HDB flats, that we actually visited and photographed the interior of flats. We decided to start our photo shoots before the end of the same month. I had studied film-making before architecture, and could handle a camera without hesitation, although the camera I had was an inexpensive and commonly available one. 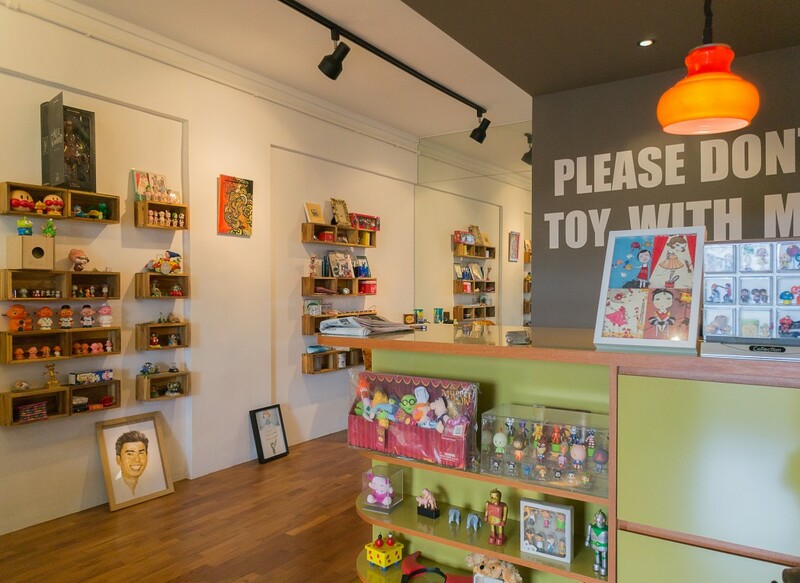 Tamae and Eitaro have lived in Singapore for some time. 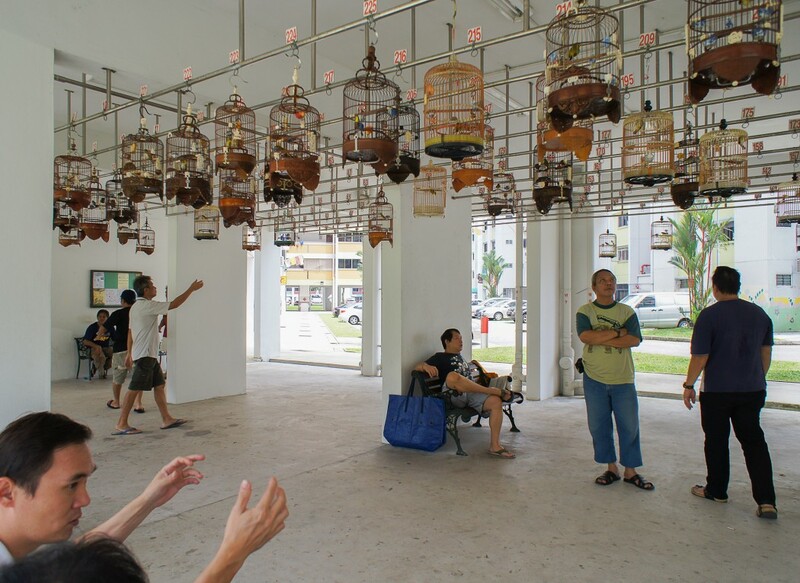 They work as in-house print-makers at the Singapore Tyler Print Institute (STPI) and have made many friends through their church and from other activities. The flats that I photographed – both HDBs and flats in the Tiong Bahru estate, developed by the Singapore Improvement Trust (SIT), a predecessor of HDB – belonged to their friends and their friends’ family members, and through them we met even more people, expanding our circle of acquaintances spontaneously and organically. Of course, people prefer privacy; they do not like showing their private lives to others indiscriminately. However, for Singaporeans, it is also in their nature to welcome friends and family members, and spend time with them for tea and meals over weekends. Tamae and Eitaro would, on occasion, just bravely knock on the door of a flat that looked intuitively interesting from outside. In most cases, the flat owners would welcome us in once they had learned the intent of this project. This project, therefore, would not have been possible without Tamae and Eitaro’s warm personalities and their knack for making friends. Neither would it have been possible without the overwhelming consent of many flat owners, who accommodated and opened their homes to us on weekends, sometimes with absolutely no forewarning but understanding the merit of this project, welcomed us like old friends, and over tea, sweets, and at times, beer, – recounted for us their family histories and gave us a glimpse of their private lives. Tamae, Eitaro, and I are very thankful to them and wish them good health and great happiness. In addition, because I had only recently arrived from Japan, I felt that each act of welcoming me was tantamount to warm acceptance by all Singaporeans, as well as the society of Singapore, which was then still a foreign culture to me. I was very lucky to have had this experience more than once, and it was an enormous source of encouragement while I was adjusting to life in Singapore. These precious experiences remain a great source of inspiration even when I teach at the university, educating the young and hopeful future generation of Singapore. This project was also a great opportunity for me, having just arrived, to witness and record people’s lives with fresh and innocent eyes, not knowing anything but it was, in itself, to be a great opportunity for learning. 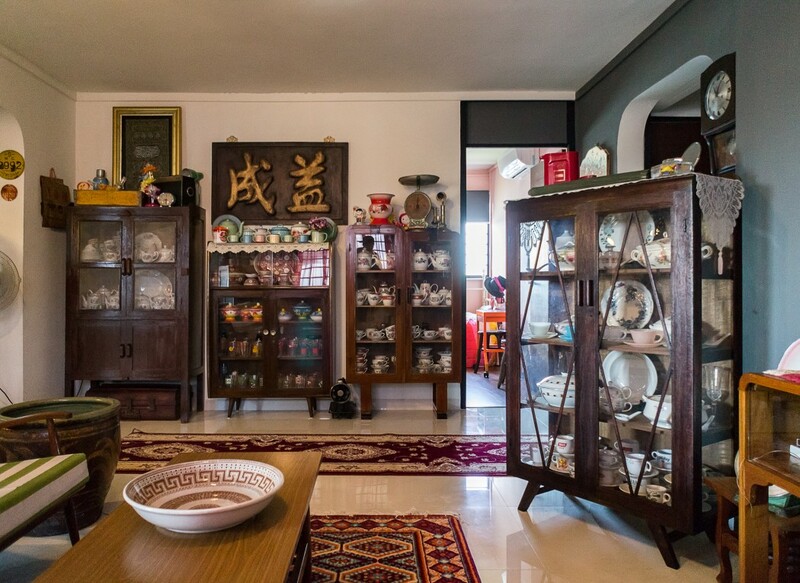 With Tamae and Eitaro, I enjoyed the process of forming new relationships with Singapore flat owners and glimpsing their lives – like opening a jewellery box every time. 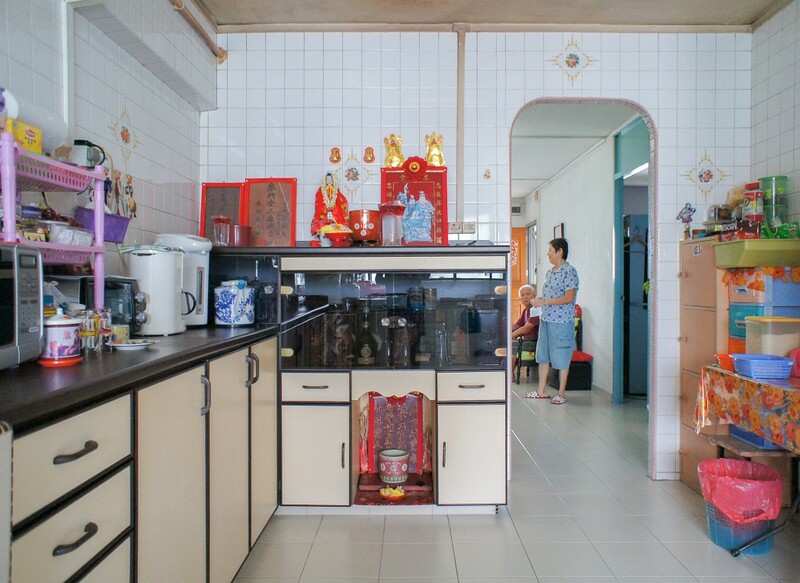 In no time, I had photographed the interiors of more than 100 HDB flats. 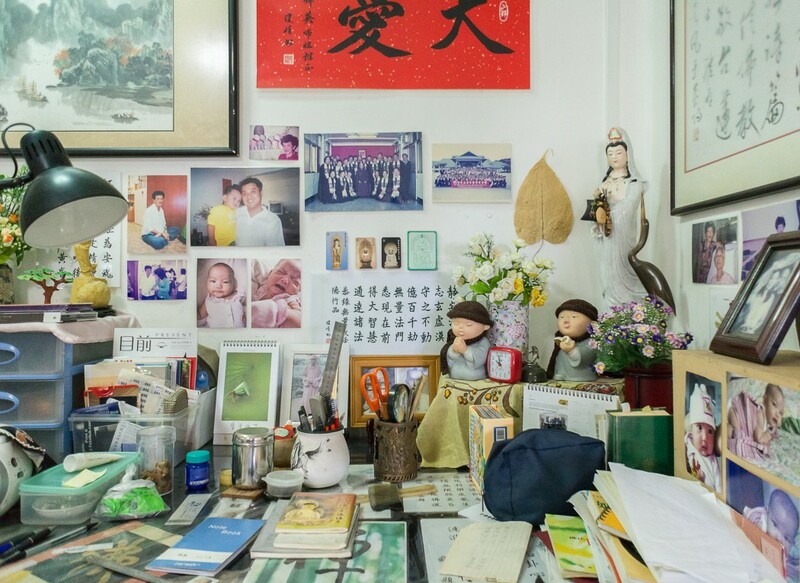 The photos were taken over a period of three years, including the 50th anniversary of Singapore’s independence, as a way of casually spending the weekend with both the photographed families and us, sometimes including our children. Despite my vocation as an educator in the university, this photographic documentary was not based on any academic approach. We preferred the common-sense approach, of making friends to get to know people and talk about their lives in Singapore. The process was just like spending time with friends and family members. 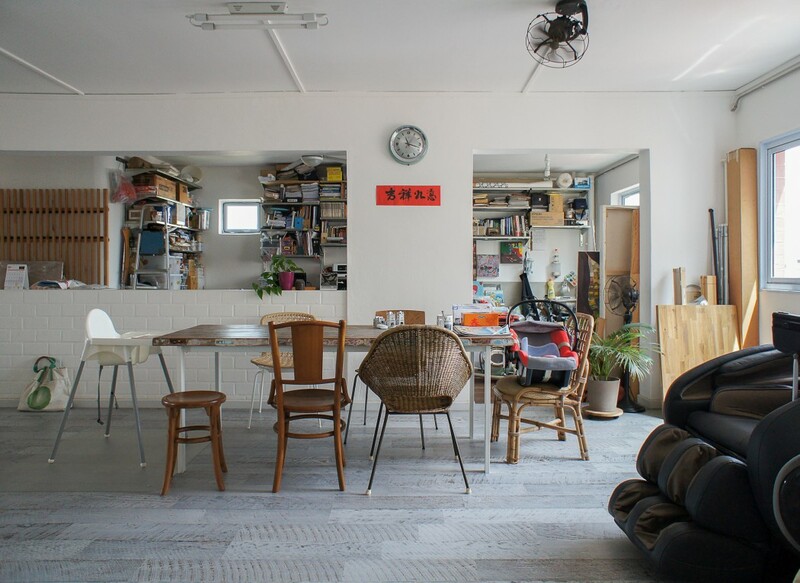 Essentially, every flat is a home for the daily cycle of eating, relaxing, sleeping, and so on, so it can be quite a mundane space. But after encountering the life of its remarkable inhabitants, I came to realise that this experience was really about discovering the richness of lives within these homes. I do not have an academic, critical, or probing lens to come up with an exact quantification and definition of what this richness means. But after witnessing how people live, I now understand that the flats no longer appear to me as mere public housing, but as true homes from the inside out. As architects, we are trained to be able to feel and understand the senses and sensibilities of people living in space. So, this photographic exercise was as if to observe how a new life forms sprout, develop, and finally emerge from the space; there are infinite possibilities of richness in our lives. 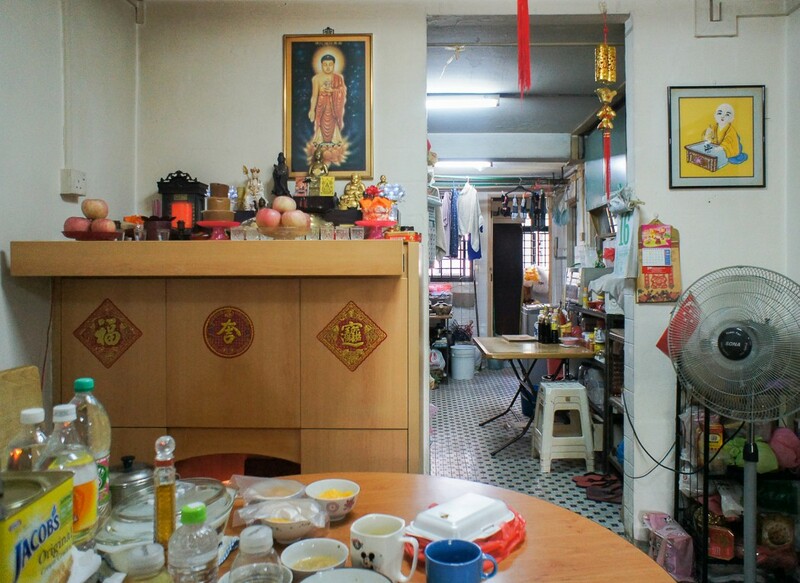 In that regard, each and every HDB flat is a life in itself; it is a unique, artistic and sacred one. I believe an architect’s work always begins from empathy for people living in the home and city. Every time one wakes up, there are the ceiling panels, floor planks, switch plates, and cupboards that appear; mundane day-to-day scenes in front of our eyes. Our routine actions are repeated over and over again until one cannot remember how many times he/she has gone through them. The conscience of the resident prevails in the home in which such daily routines of life recur as if our life is some form of ritual. These actions in a sense transcend oblivion and accumulate as the memory of space. After many repetitions of such daily actions, we tend to forget about them, but after a while, space starts to be associated with our memory and meaning. There are also physical memories that are embedded in each and every stain, wrinkle, scratch, and finger marks in that space. Our consciousness goes beyond these numerous recollections of joy and pain in our daily life. What if you could touch and feel those consciousness that is diffused throughout this living space? You would be struck by a sense eclipsing our ordinary perceivable dimensions as if one was a monk emerging from meditation. Maybe, this experience comes from having seen too many flats! A mini table within the kitchen is a portal to a world, in which an ‘uncle’ takes a sip of tea every morning and reads the paper. If one perceives the teacup with warm steam rising into the air, it is evident that his energy activates and controls the space around it. The way this table exists would allow one to perceive, without directly seeing him, whether he is about to start drinking or finish the tea, and whether he is about to take a nap or ready to go out. These photographs were taken from the perspective of sensing that energy and observing his actions; they captured the ambience of the space, and not the man or the man in action. 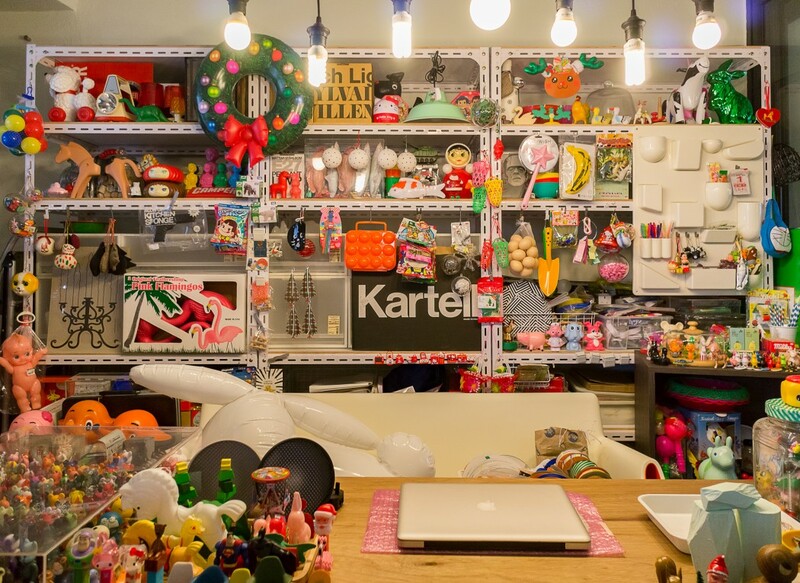 Moreover, the elements on the small table, such as the teacup, a pencil, a can of biscuits, a picture of his grandson, a desktop calendar, etc. are like celestial bodies located within his own microcosm. These elements change their relative locations slightly with every day. He is, therefore, observing his own life, using them as points of reference while enjoying these small daily changes. This richness resides in the unquantifiable relationships produced through these repetitious actions, and among everyday artefacts. 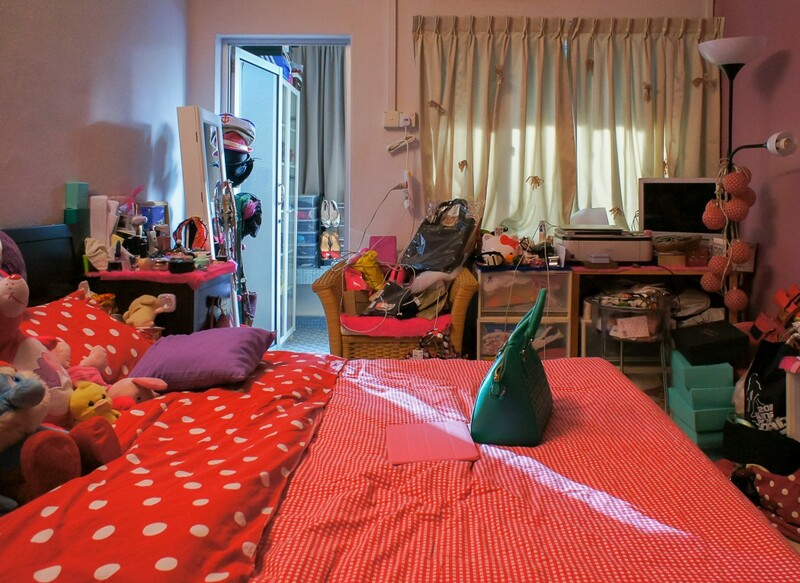 For each resident, there exists a virtue within the flat. With many different kinds of virtue in it, a living environment bears a sacredness similar to that of a shrine or temple; however, it is a private home, closed off from the outside. A home, in its interior domain, exists in dimensions totally different from what is perceived from the outside. For me, it is really interesting to romanticise a notion that each home contains the possibility of re-establishing rich relations while transcending the limitations of time and space. It does not come in the form of a temple but has the intrinsic values of one. In this temple, time can be very fast or very slow. The temporal flow is sometimes varied; this is obvious if one observes the different lifestyles of each family member. The children leave the house in the morning, earlier than anybody else. They may eat together. Grandma goes to bed in the early hours of the evening. 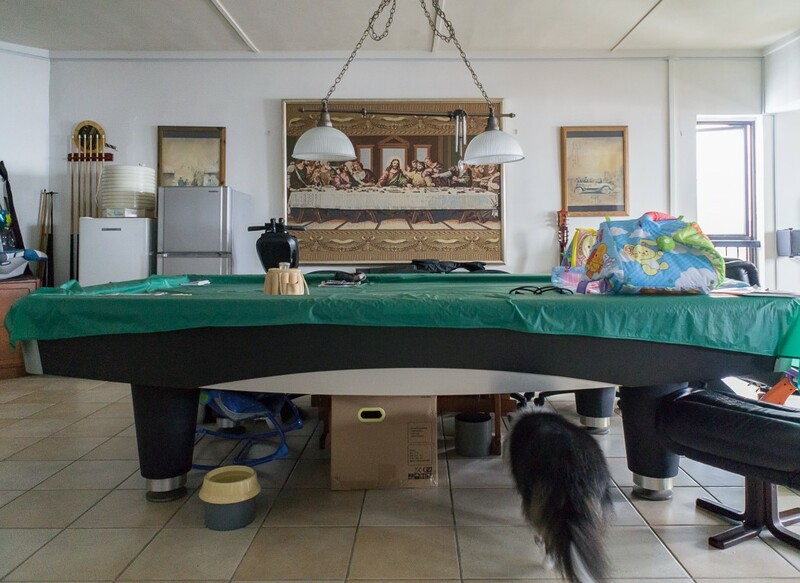 This is the only temple in which the timeframes of family members overlap here and there, fast and slow, while each action sublimates and inherits virtue. Room-cleaning and dishwashing are everyday rituals of cleansing and contemplation, leading to the attainment of virtue. As the ritual is repeated, life keeps revitalising its sanctity. This tropical weather feels like a perpetual summer. But, on the contrary, Singapore does not lack seasons. The climate of Southeast Asia is characterised by the ever-changing light quality and humidity levels. Wind speed and direction, as well as light conditions, affect the humidity. Even in a city, the intensity of light, wind, and precipitation keeps changing. It is as if they were infinite seasonal changes, in very short intervals. That is why this diversity in climate conditions generates rich soil, giving life to a myriad of life forms. Here, plants grow very quickly, as indicated by the rich variation in the shapes and flavours of tropical fruits and blossoms. There are so many variations of seasons in Singapore. 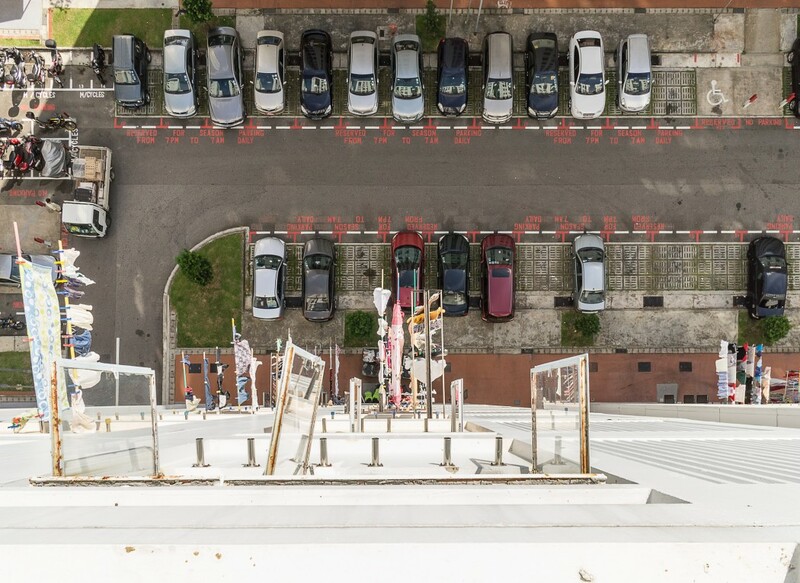 HDB flats typically do not use thermal insulation but instead are designed with relatively short depths of building blocks, to allow the wind to go through for ample natural ventilation. With breezes passing through in different directions, their internal humidity and apparent temperature are well regulated. If one looks out from a high-rise HDB flat, you will feel as if the building is a sailboat cruising across the ocean, because you can experience the ever-changing clouds and direction of the wind. There may be clear skies one moment, and a shower coming down the next. It may even rain in the midst of sunshine. For those who have just landed in Singapore by aeroplane from a different climate zone, HDB housing may look like just a singular block with non-descriptive surfaces. However, it is like looking only at the exterior surface of a sailboat from the outside. But, if one gets onboard this sailboat, the experience is as if the world starts turning with this ship as its centre. Looking at the sky from inside the HDB, I felt as if I was standing at the stern of the sailboat, watching the waves produced by its movement disappear into the horizon, because of the ever-changing winds, clouds and climate conditions located near the Strait. This sensation also made me feel the undercurrents of our lives, with any sense of time constantly disappearing into the horizon. Likewise, the vicissitudes of our daily lives are like ripples that flow towards and disappear beyond the horizon for eternity. I would be delighted if you enjoy these photographs and immerse yourself in them, wandering through the numerous microcosms pictured by them. I am certain that you will, through this process, make many discoveries and become more aware of the rich lives of the people documented therein.